Glass bottles made from type III white flint soda lime glass. Fitted with caps as indicated. 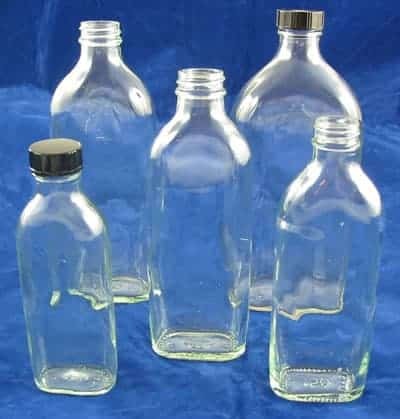 These bottles are flat with a narrow neck and are ideal for storing liquids. Our website shows our list prices, quantity and regular order discounts may be available, please contact us to discuss this.